Motorola's first post-Google smartphone isn't scheduled to debut until next week but thanks to the leaks over the past few days the announcement will be more confirmation than actual news. Numerous leaks, including from retailers in India and Brazil, have revealed just about every technical detail on this smartphone. The Moto E is going to be a budget model with a 4.3" screen and specs a couple steps better than the absolute bottom of the barrel. This smartphone will run Android 4.4 Kitkat on a dual-core 1.2GHz SnapDragon CPU with 1GB RAM, 4GB Flash storage, a 5MP rear camera, and a microSD card slot. In terms of connectivity it will have dual-SIM card slot, Wifi, Bluetooth, and 3G. 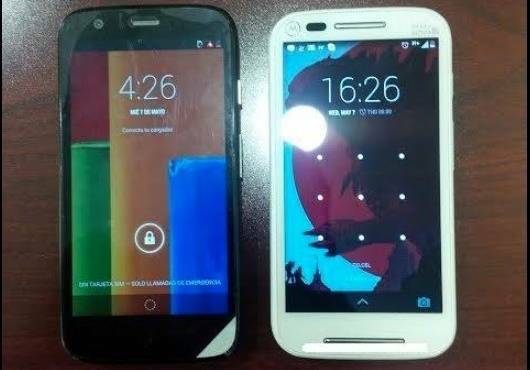 A photo showing the Moto E next to the Moto G (on the left) has already leaked on Facebook. It was taken down, but not before everyone downloaded it. Weighing in at 140 grams, the Moto E has a battery capacity around 2Ah (sources disagree). The screen will measure 4.3", but I am getting conflicting reports on the screen resolution. One site says 540 x 960, while another says 720 x 1280. It's not clear who's right but I would bet on the lower resolution being the most likely. 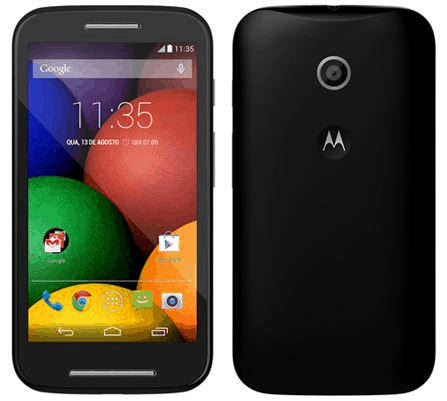 The Moto E is expected to be launched at a press event in London on 13 May. The official release date has not been set nor have any details leaked about the price, but at this point we know that it will be carried by Flipkart in India and FashShop in Brazil.